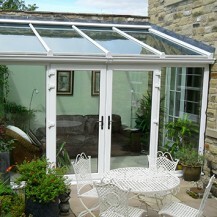 The lean-to conservatory, with its simple clean lines, creates a welcome link between your home and garden. Whether your lean-to conservatory is traditional or contemporary, the pitch of the roof can vary greatly, making it perfect for properties such as bungalows or cottages and affordable way to improve the amount of natural light in your home. 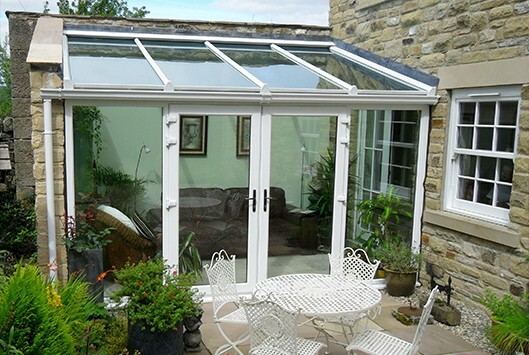 The simple shape of a lean-to conservatory offers maximum space in a highly economical style. With a modern, yet enduring style, it is carefully designed to allow plenty of light, whilst also providing additional space for lounging, working, dining or entertaining. A lean-to conservatory can also improve the energy balance of your home, and provide the perfect place to catch the winter sun. 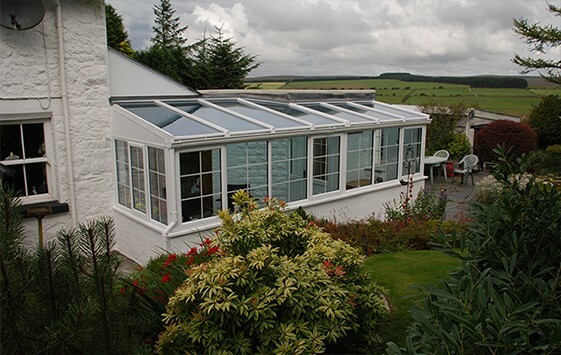 But before installing a lean-to conservatory it is important to consider the positioning, as too much or too little sun can make a conservatory less useful that you may have originally thought. This is a traditional and affordable option. The same brick can be used to match that of the existing house and can help provide a sense of privacy within a sturdy frame. This is a popular option that can increase the amount of light and heat entering the room. This can be controlled with adequate ventilation. Full height glass can also reduce the cost of materials such as brick. This is a cost effective option as there is no need for brick and less glass is required. The base of the conservatory is also easier to maintain. 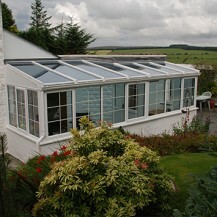 Lean-to conservatories come with a choice of advanced roofing options. A solar glass roof is a popular option that utilises the latest technology to prevent heat loss in the winter and reduce heat in the summer months. Another option is to install a polycarbonate roof which will help to prevent up to 80% of the sun’s solar energy from making its way through the conservatory roof. Ventilation is also an important element in lean-to conservatories and homeowners can choose between manual or electronically operating roof vents, as well as a choice of doors including French doors, patio doors and bi-folding doors. With such versatility, you can be certain that heat loss will become a thing of the past and your home will feel warm and cosy.